quotes from screened pros - it's even free. You might need a home repair contractor as soon as you discovered that there is something wrong in your house. Since repairs should be done soon after problems surface, you should know beforehand how to effectively hire local home repair contractors near you. Knowing how to find and hire the best home repair professionals will allow you to select the best one immediately while ensuring that you are employing someone at a reasonable fee. Due to this reason, it is ideal to learn some tips on how to hire professional home repair service providers. This will ensure that the experts that you are hiring are licensed, certified, experienced and insured. It will keep you from having problems with the service that you will receive. Listed below are some of the most useful tips that you can use to find and hire home repair professionals. No matter how soon you need to hire workers, it is still important to follow a proper hiring process to guarantee that you are not hiring unlicensed and uninsured workers. List what needs to be done. You may need more than one spot in your home to be repaired. List everything that needs to be fixed. This should include all the things that you also want the repairmen to do such as replacing certain materials in an existing structure in your home. This will make things easier since you won’t have to think things through every single time you talk to a home repair contractor. You already have a list of things that the workers need to inspect and repair, which will save a lot of time during the hiring process. Not everything can be included in the list, though, since not all the problems in your home can be caught by an inexperienced person. Repair service inspectors might still add things to your list and this is a good thing in a way since all the problem spots are noted. Keep this list so that you can use this as reference when comparing estimates so that you can see which home repair services are offering the best deals. Determine the type of contractor to hire. There are different contractors that specialize in specific areas in home repair. Electricians are hired when fixing problems on electronic fixtures while plumbers are the ones needed for bathroom and kitchen issues. There are also experts who are jack-of-all-trades and offer multiple services in a single visit. Look for the one that best suits your needs. If you think that an all-around repairman is what you need, feel free to ask for quotations from these professionals. Just make sure that you look for credentials and feedback from previous clients. Determine the cost of repairs. Repairs need to be estimated separately. This will determine the actual cost of specific jobs rather than the overall cost of repairs on all the work done in your home. It will help you keep track of where your money is going, which will prevent overcharges. Determine the average cost of specific repairs in your home such as sink repairs, molding replacement or deck board replacement so that you can see if the charges in your bill are accurate. 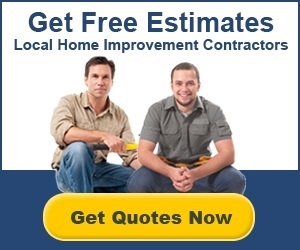 Most home repair services will even offer discounts if you have a lot of work for them to do. Check for these discounts so that you will know how much you are actually saving by hiring a single company for the entire repair work around your property. Look for licensed, certified and insured contractors. Of course, you should look for licensed, certified and insured workers. This will guarantee that you are hiring a legitimate business with knowledgeable and skilled employees. Since you will be entrusting the care and repair of your home to these workers, you need to ensure that you are hiring people who know what they are doing. Hiring professionals who have insurance will also give you guarantee that the damages that will be done in your home in case of accidents or errors will be compensated for. Injuries would also not be your burden since insured workers will have an insurance company to pay for their medical bills. Know the track record of your preferred repair company. Do some research about the background of the repair services that you are going to hire. Ratings are not always reliable since not all online reviewers are verifiable. But, check BBB complaints and see if the issues have been solved by the company. Service providers who are committed in helping their customers post-service are commendable and are the best to hire since you will get assistance even after the workers are done doing their job. Be upfront with your budget. Do not divulge your budget to every contractor you meet but it is worth discussing your budget with the professionals that you hired. This will allow them to give you proper advice on what to do with your project and which options you should choose. Being open about your project will also enable you to see which companies are willing to accommodate you and work around your budget instead of insisting on more expensive options. As long as your budget is reasonable, repair services should not insist on making you spend more than you can afford. This is one of the most useful advices that you will follow when hiring contractors. Do not take their word for it and have everything written on the contract so that you will have proof for every promise that your chosen company says. Of course, make sure that you read the contract before signing anything. Do not agree to something that you do not fully understand and add terms that you think should be in the contract but were not included. Following a proper hiring procedure will help you choose the best repairmen for your project. It allows you to separate true home repair services from those who are trying to provide services without actual training or proper equipment, which saves you from a lot of headache in the future. Hence, make sure that you do the process properly even if you are in a hurry.